A Border Patrol agent was injured when someone hurled a concrete block at him while he tried to apprehend an illegal immigrant. The agent spotted a man on surveillance video unlawfully crossing the border. When he pursued the suspect, someone across the border struck the agent on the shoulder with a concrete block. 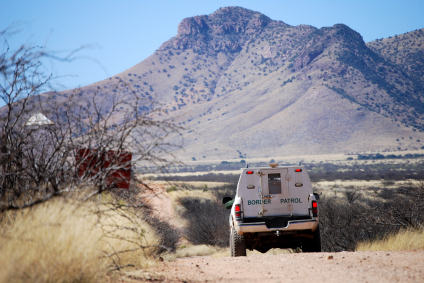 Since Oct. 1, seven border patrol agents were assaulted while working for the El Centro Sector. Posted: 10/26/16 at 11:06 AM under News Story.